Sanjusangen-do, a buddhist temple located in the Higashiyama district of Kyoto, was built in 1164. The temple, whose name literally means hall with 33 spaces between columns, is an impressive structure with a deep root in Kyoto’s history. Built by the Toyotomi family during their rule over Japan, the Main Southern Gate is of particular significance to the country as a cultural property. 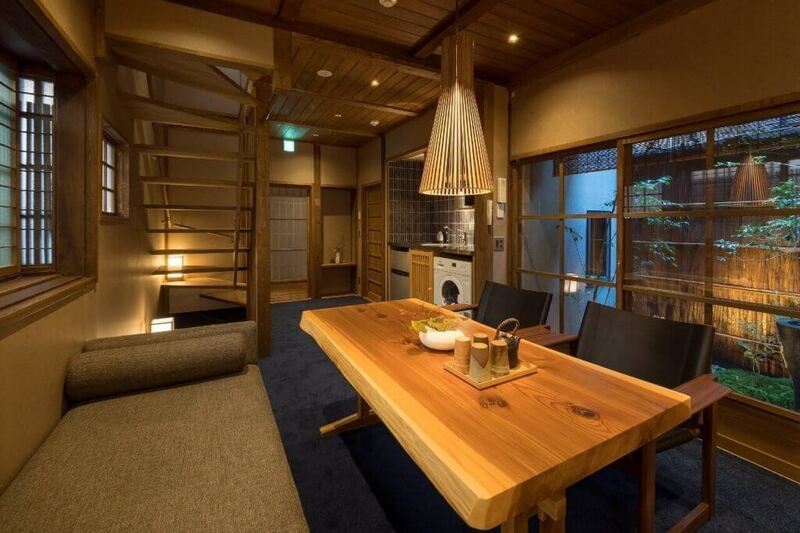 "Zanmai-an" is a two-story, fully furnished Japanese-style machiya tucked away within a peaceful local neighborhood. 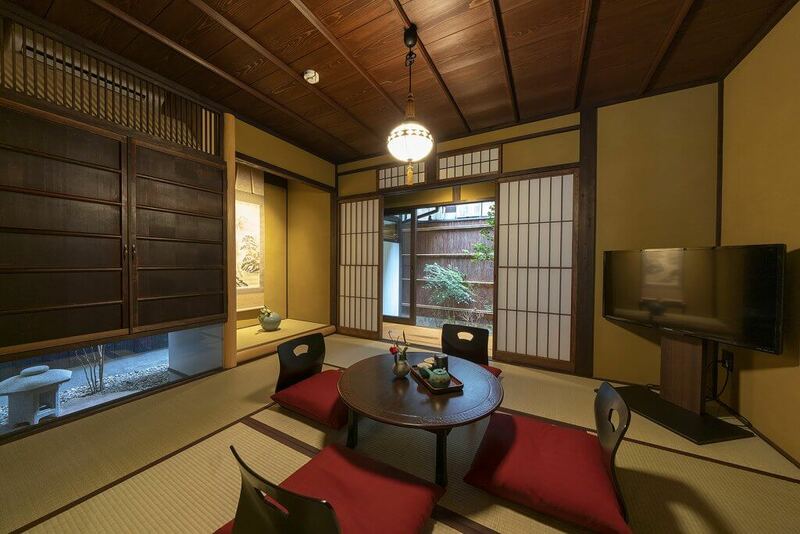 This machiya has stood for over 100 years, immersed in Sanjusangen-do’s deep history, and provides a window through which to explore Higashiyama, where Kyoto’s most sought after attractions lie unexplored. 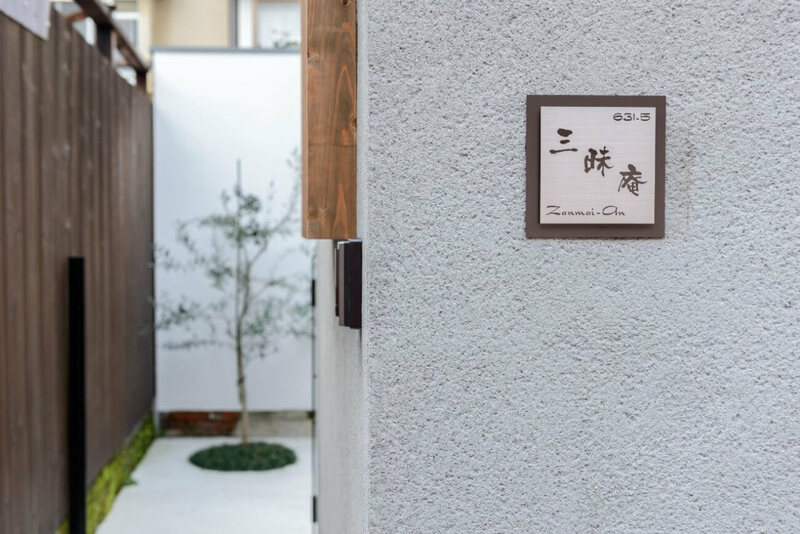 Traditional and Contemporary Design As you approach a quaint Kyoto neighbourhood, a traditional machiya with a modern design comes into view. 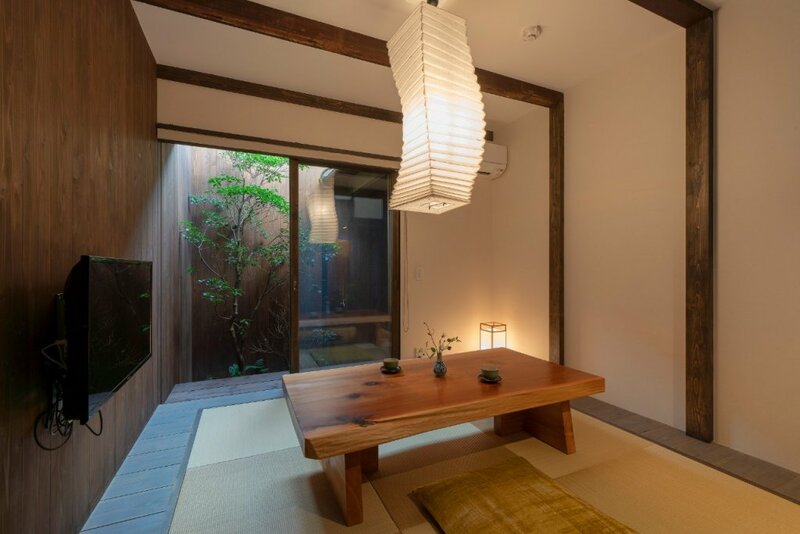 Wooden 'koshi' latticework pairs perfectly with the minimalist exterior. 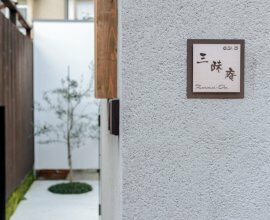 Garden Entranceway Enter through the gate to find an olive tree and glass doors into "Zanmai-an". 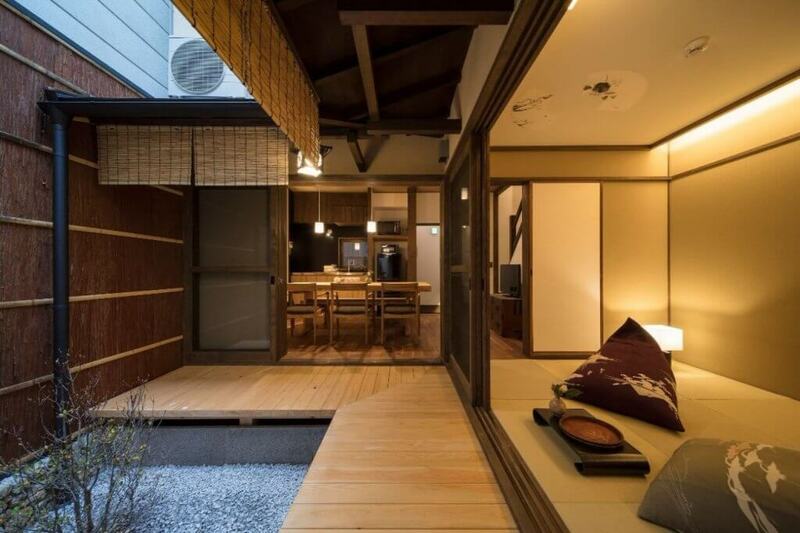 The glass doors span the entire width, and the simple garden ensures the first floor is bathed in natural light. 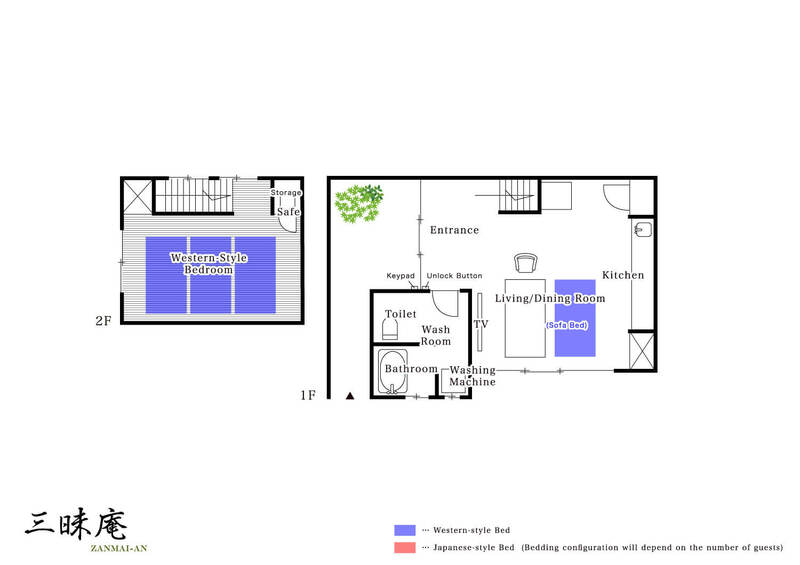 Open Living Area Gather with your guests in the open space of the first floor. Prepare a meal together and lounge on the couch as you reminisce on your travels. Kitchen Feel free to use the sleek stainless steel kitchen complete with a fridge, toaster, microwave, stovetop and more. Savour a cup of our delicious MACHIYA custom coffee. Airy Western Style Bedroom A beautifully simple bedroom awaits you. Natural light and an all-white design showcase the delicate woodwork. 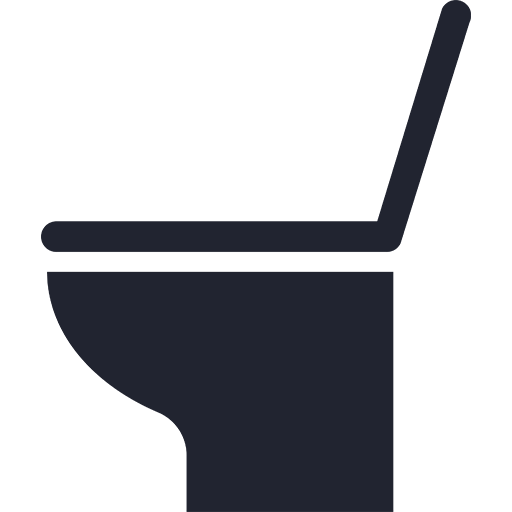 Close the blinds and retreat here to enjoy a restful sleep. Bathroom The all-white design continues into the bathroom, where you will find a shower and bathtub, and our MACHIYA bath products in fresh scents. 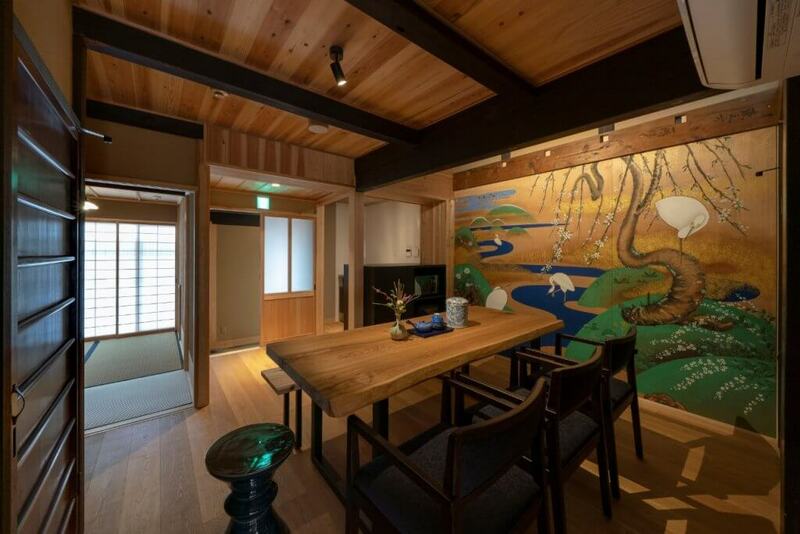 Enjoy modern comfort and conveniences while experiencing Japanese history and culture surrounding this machiya house. 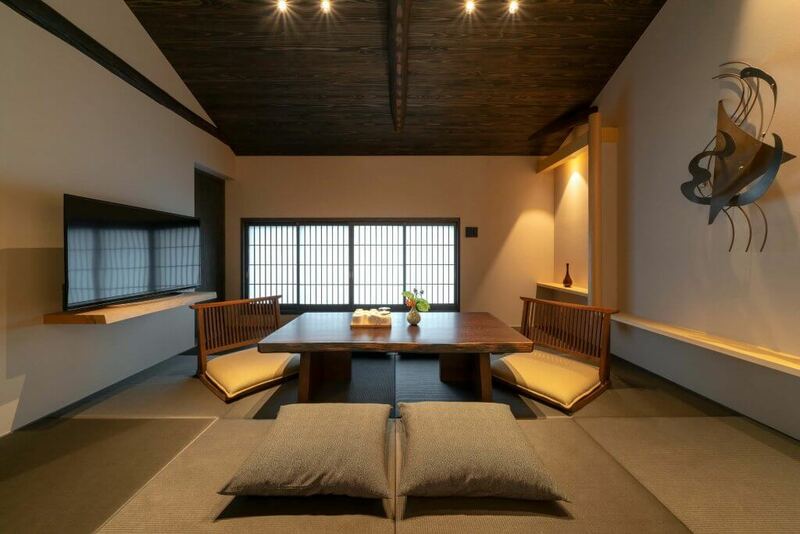 Located near the Sanjusangen-do, Zanmai-an is a fusion of Japanese-style with modern design. 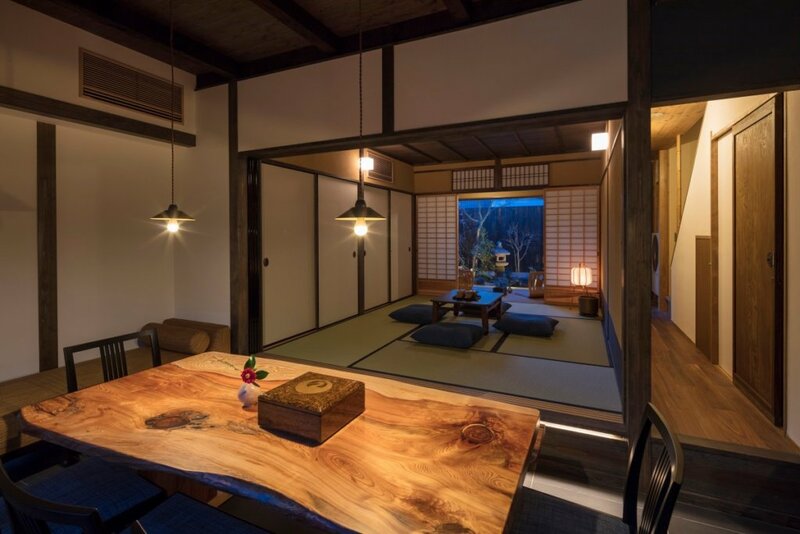 From Tofukuji Station, enjoy direct access to the famous red torii gates of Fushimi Inari Shrine and Uji where you can experience Byoudoin Temple and world's best green tea. 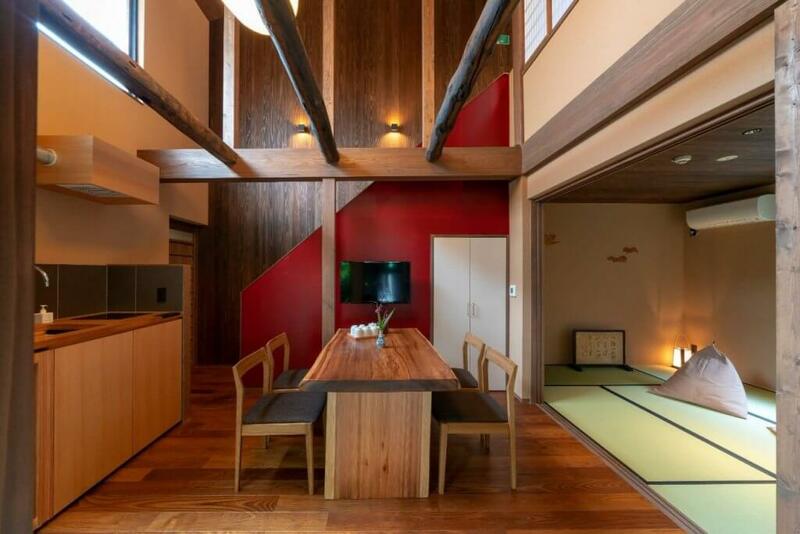 Or take the train north to Kyoto Station, Gion and Kiyomizu-Gojo station to access Kiyomizudera Temple.